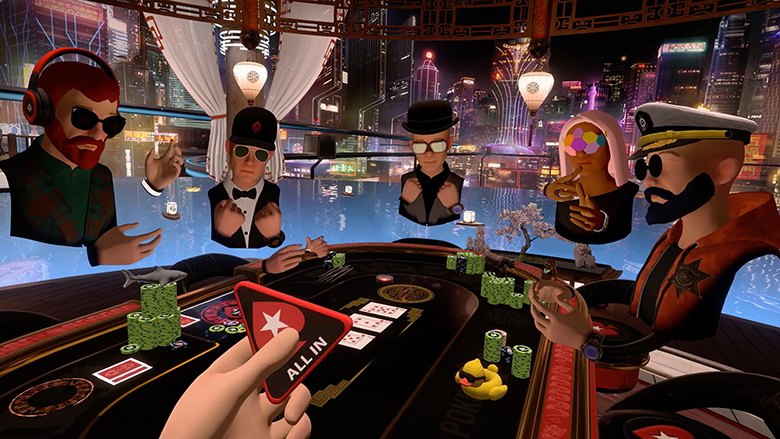 PokerStars, the online gambling site, today released a social VR app that lets Oculus Rift and HTC Vive users play poker for free. Dubbed PokerStars VR, the online multiplayer game is free and now available in Early Access on Steam, the Oculus Store, and Viveport. Unlike its classic 2D interface, PokerStars VR doesn’t allow real world betting, as users can only play with free chips—an important stipulation for distribution on the platforms mentioned above. 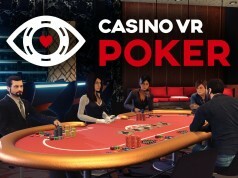 Developed in collaboration with Lucky VR, PokerStars VR focuses on fun gameplay, interactivity and social engagement by allowing users to chat with other players, use voice commands, stream via Twitch, and play with props such as card protectors, flare guns, fireworks, pet ducks and donkeys, etc. The game hosts a number of environments including Macau 2050, The Macau Suite, The Showdown Saloon, Monte-Carlo Yacht, and The Void. 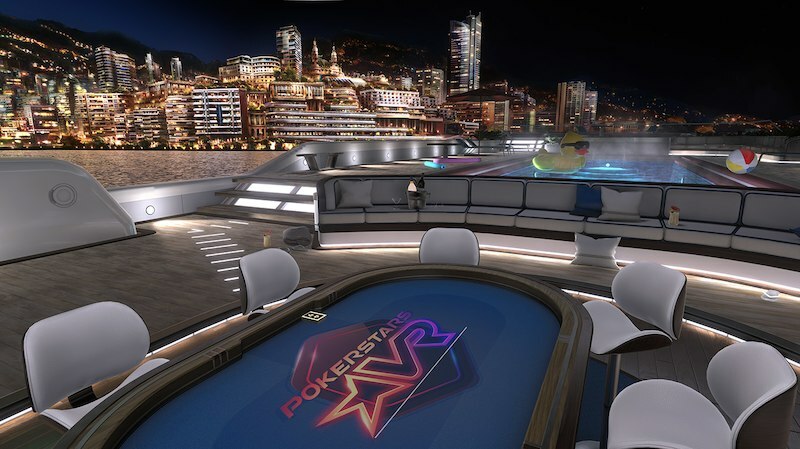 PokerStars VR is said to let users go head-to-head against some of the top poker players in the world with ‘PokerStars Ambassadors’ at the tables. Users will also get a chance to take part in special promotions, partnerships, and events in the future. Downloaded already. Poker night tonight :) well, clearly some Beat Saber action to go along. Happy Friday VR people!! This was the first thing I Thought of when VR began to emerge a few years ago. Seems like a great experience. 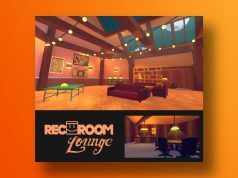 OHHHH YESS, I had been playing the Lucky Night:Texas Hold’em VR poker, but this seems like a more fleshed out version of Poker I’m going to enjoy frittering away my hours in! Awesome!